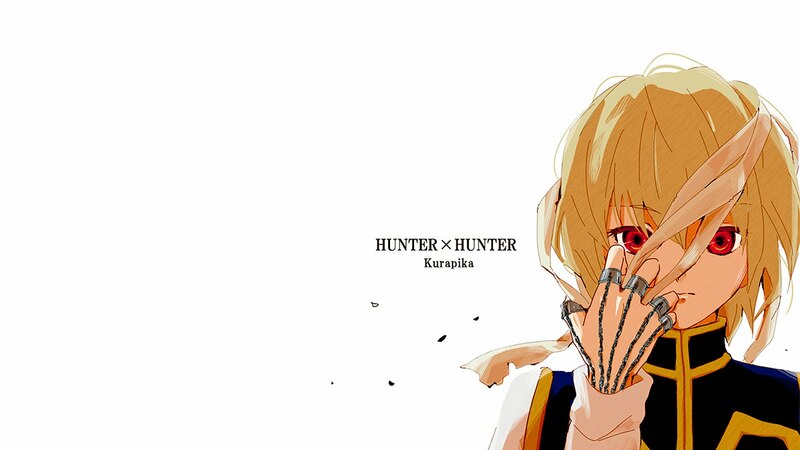 Kurapika is a hunter and known to all Hunter x Hunter fanatiks as the last survivor of the Kurta Clan. The Kurta Clan was all murdered for their eyes, which were removed from their bodies, because when certain emotions are activated their eyes become blood-red. Their Eyes are known as Scarlet Eyes. 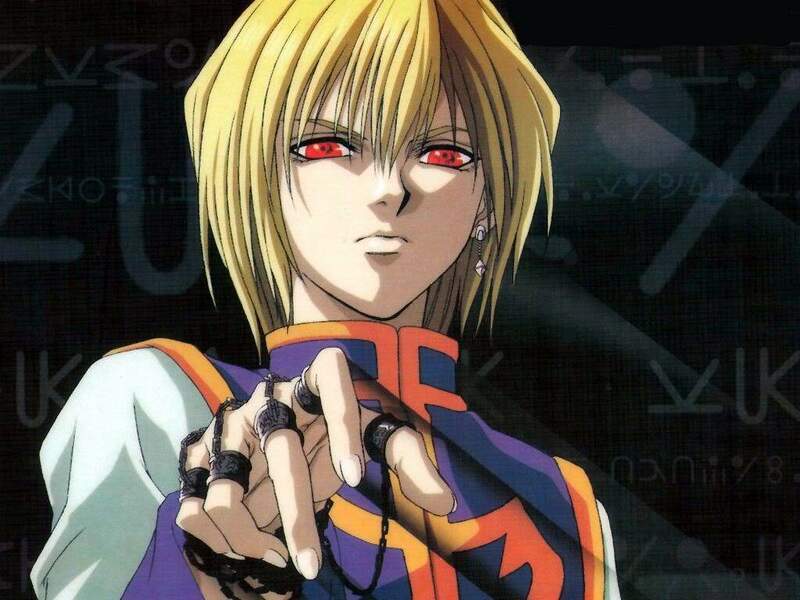 Kurapika is set on revenge, it is his goal and driving force to avenge his clan and to recover all the pairs of eyes of his murdered clan. He has blonde hair brown eyes (or blue eyes – In the manga and 2011 anime it is brown, in the 1999 anime it is blue), and of course, when he has intense emotion his eyes glow a beautiful red. When we meet him in the series he wears a blue tabard, decorated with an orange hem and a white full-body training suit underneath. His character was inspired by the Ohmu in Hayao Miyazaki’s manga Nausicaä of the Valley of the Wind. It is also interesting that Kurama, one of the main protagonists in Yoshihiro Togashi’s, YuYu Hakusho, bears some similarities to Kurapika. (Both mangas is by Yoshihiro Togashi): Both are cunning master strategists, both are prodigies and highly intelligent, both appear androgynous, etc.